At publication date, a free ebook version of this title will be available through Luminos, University of California Press’s Open Access publishing program. Visit www.luminosoa.org to learn more. 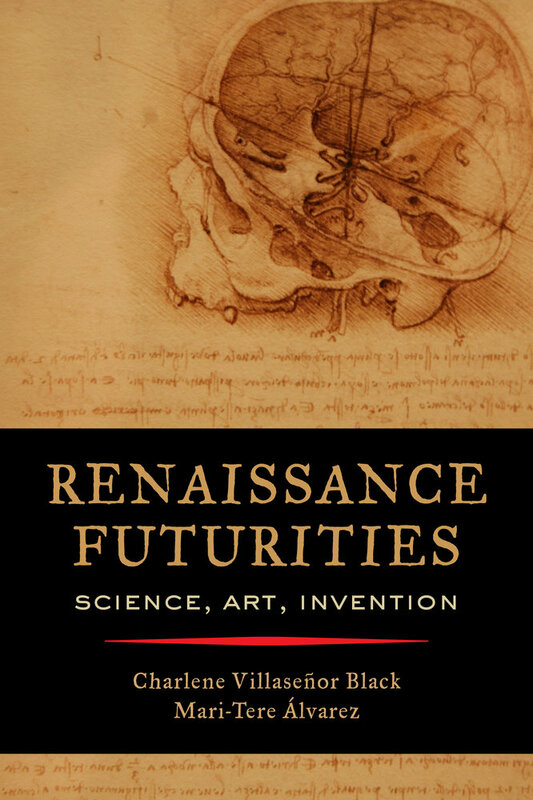 Renaissance Futurities considers the intersections between artistic rebirth, the new science, and European imperialism in the global early modern world. Charlene Villaseñor Black and Mari-Tere Álvarez take as inspiration the work of Renaissance genius Leonardo da Vinci (1452–1519), prolific artist and inventor, and other polymaths such as philosopher Giulio “Delminio” Camillo (1480–1544), physician and naturalist Francisco Hernández de Toledo (1514–1587), and writer Miguel de Cervantes (1547–1616). This concern with futurity is inspired by the Renaissance itself, a period defined by visions of the future, as well as by recent theorizing of temporality in Renaissance and Queer Studies. This transdisciplinary volume is at the cutting edge of the humanities, medical humanities, scientific discovery, and avant-garde artistic expression. Charlene Villaseñor Black is Professor of Art History and Chicana/o Studies at the University of California, Los Angeles. She is the author of Creating the Cult of St. Joseph: Art and Gender in the Spanish Empire, editor of Tradition and Transformation: Chicana/o Art from the 1970s to the 1990s and Aztlán: A Journal of Chicano Studies, founding editor in chief of Latin American and Latinx Visual Culture, and coeditor of Arts, Crafts, and Materials in the Age of Global Encounter, 1492–1800, a special edition of the Journal of Interdisciplinary History. Mari-Tere Álvarez is Project Specialist at the J. Paul Getty Museum and Associate Director of USC’s International Museum Institute. She has recently coedited Remix: Changing Conversations in Museums of the Americas; Beyond the Turnstile: Making the Case for Museums and Sustainable Values; and Arts, Crafts, and Materials in the Age of Global Encounter, 1492–1800, a special edition of the Journal of Interdisciplinary History.